In 2016, the City of Gaithersburg amended its smoking-prohibition ordinance to include vaping and the use of e-cigarettes in the definition of smoking. That broader prohibition also extends to outdoor spaces of all public buildings and public property in general (with a few exceptions), including all park areas. With vaping and e-cigarettes added to the definition of smoking, be aware that these products are also therefore prohibited in outdoor public areas of dining establishments, where smoking was already prohibited. View the adopted ordinance here. Its already been done many places across the Country!!! 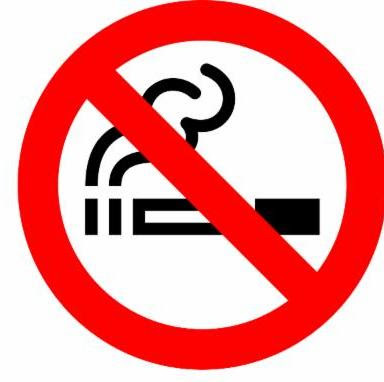 With vaping and e-cigarettes added to the definition of smoking, be aware that these products are also therefore prohibited in outdoor public areas of dining establishments, where smoking was already prohibited. Good mornign Roy. It is about time responsible people took action. Enjoy your day! Good to know for those that smoke and/or vape. They will need to go elsewhere for their habit. I would appreciate that, as I don't like being around smokers at all. It is such a big business though, I don't know how people even afford to smoke as much as they do. You'll find this enforced in Austin and has been for many years. Smoke free restaurants, offices and surrounding the buildings. It makes dining out so much more enjoyable! Roy, I agree with Barbara, this should be prohibited everywhere, this is just as dangerous as smoking for our young ones! We have smoking prohibitions here in Charlotte, but I don't know about the vaping. Will need to look into it. Both should be banned in all public places. Good morning Roy - I am seeing that the no smoking rules are being revised in many places. Hi Roy Kelley - good for the city of Gaithersburg! I worked in one of the first cities to prohibit or limit smoking in the US (circa 1986). It was Pasadena CA. My parents lived in Kentucky and I did not like to visit them because of all the smoking everywhere! In Minnesota anywhere there is food served you are not allowed to smoke or vape. Been like this for about 7-8 years now. It is great to go eat a a nice restraunt and not smell the odors. Thanks for this information, Roy. I agree. Smoking is offensive and Vaping is not any less offensive even with the lack of smoke. Great PSA, Roy! We have similar restrictions here in Charlotte as well...thankfully!